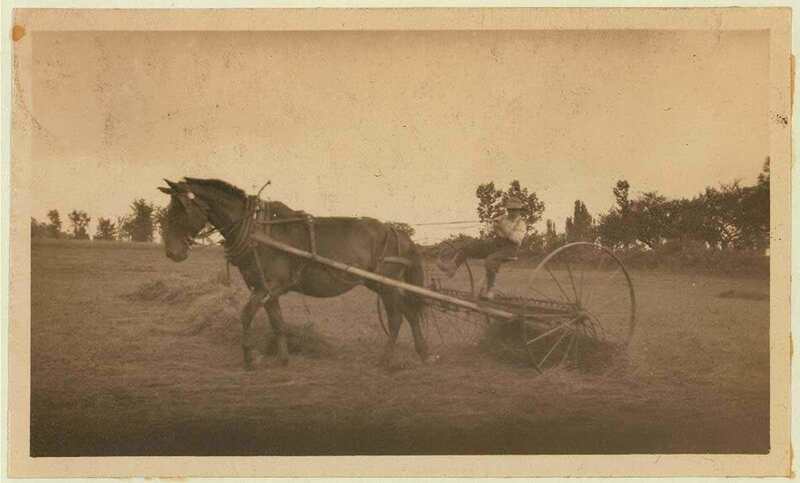 A ride on the time machine back to old-school draft-horse farming. Jack, 8, drives a horse rake in Western Massachuetts. August, 1915. 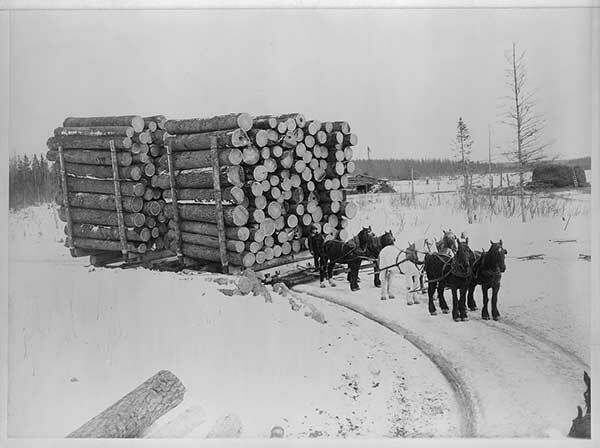 A team of horses pull a sledge of logs in the Midwest (circa 1954). National Archives and Records Administration, Central Plains Region. Courtesy of Wikimedia. 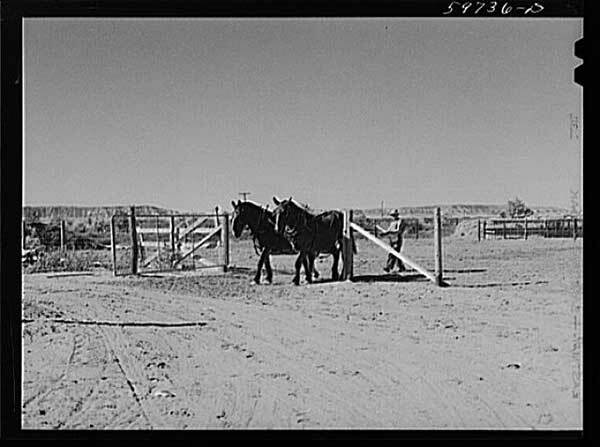 A team of horses work Scottsbluff Farmsteads, Nebraska (circa 1941). 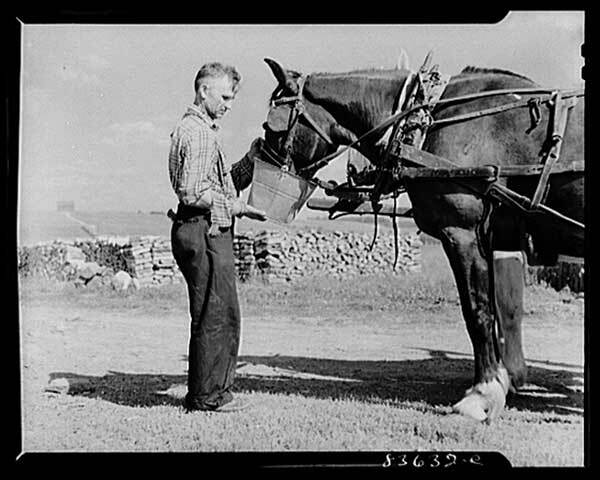 A farmer waters a horse before the day’s work in Aroostook County, Maine (circa 1942). 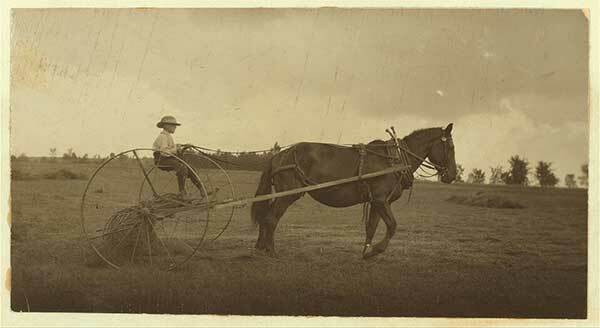 Jack, 8, drives a horse rake in Western Massachusetts (circa 1915). This photo was taken for a study on rural child labor. Though some small farmers are turning back to the use of horse power today, the Amish never left it behind. 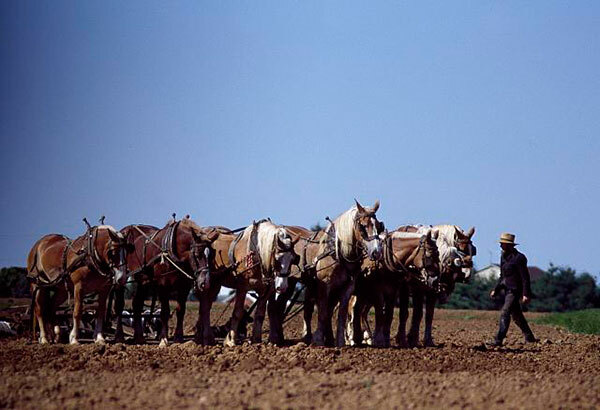 A farmer works with his team, six strong (circa 1970s). 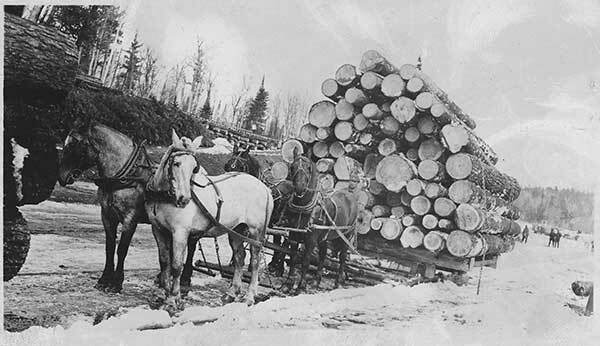 Lastly, this team hauls the “largest load of logs ever hauled on sleighs by horses,” (at least up until the time of photograph) according to the Library of Congress (circa 1909).